Perfect for tight places and cars. Get to the places your full size vacs can't like cars, stairs, upholstery and more. Quickly tackle dirt and dust in couches and corners with nonstop with the plug-in power an upright in the palm of your hand. I hate bagless vacuums but I bought this hand vac anyway for two reasons: 1. to vacuum cat fur off my bed and 2. for vacuum cat fur off my couch. I have used this vac twice a day (at least) every day for the past month and thus far I have no complaints, Suction is strong enough to pick up all the fur with minimal effort on my part and quiet enough to not traumatize the foster kittens in the process. . I would recommend this product to others. The belt constantly comes undone and it is nearly impossible to rehook it without crying from frustration. 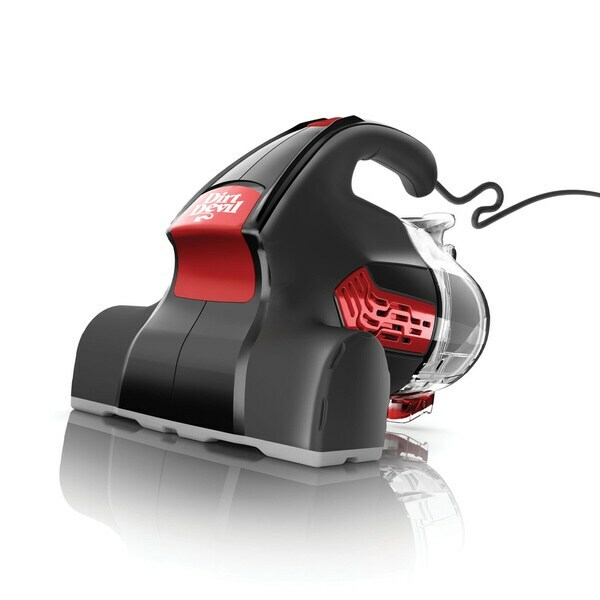 The vacuum itself has nice power and suction, but I CANT STAND THE BELT ISSUE! I've only used it a handful of times since I purchased because the belt comes off during each use and sometimes I just don't feel like going through the hassle of rehooking it. Very disappointed. This works like a charm! Gets the job done & easy to empty :) Great size too!! This item broke the first time we used it.